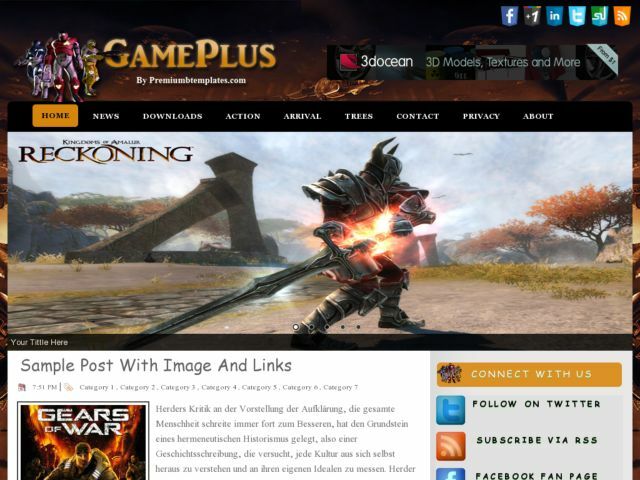 Game Plus Blogger Template is a free blogger templates, brown color as the base color and has two columns. Template features : right sidebar, featured posts, cool slider menu, social bookmarking icons, 3 footer columns, rounded corners style and more. This template is suitable if used on the blog with the theme of the game online.